Let’s analyse the Head and Shoulders Bottom, another Pattern of the Technical Analysis. The Head and Shoulders Bottom is a very reliable Reversal Pattern. 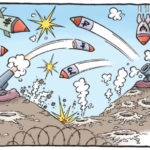 Let’s analyse it point by point. 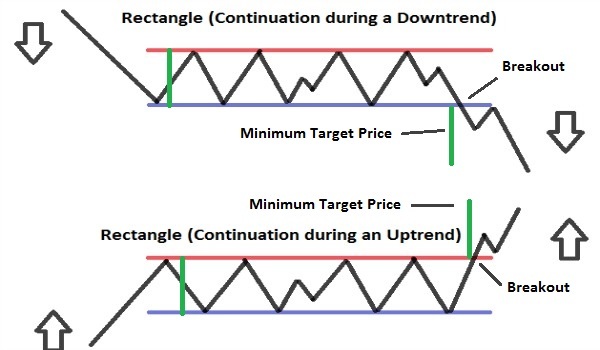 Remember, that in order to understand better the Patterns of the technical analysis, you should know how Trend Lines and Resistances/Supports work (For this reason we suggest you to read: What is a Trend and what are Trend Lines; Resistance and Supports). – Pattern composed by: a Left Shoulder, the Head, a Right Shoulder. 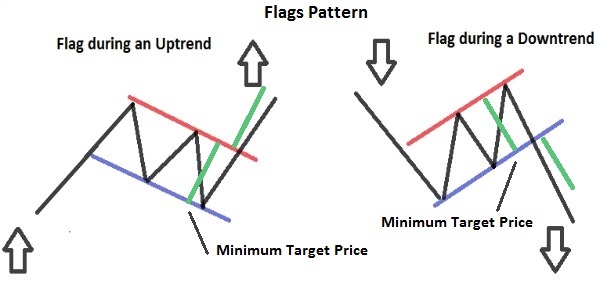 – When it occurs: The Pattern occurs during a Downtrend. – Left shoulder: During a decline, there is a Low (1) followed by a rise . The High (1) that there is during the rise, usually remains below the Trend Line. – Head: From the Previous High (1), there is a decline in which there is a Low (2) lower than the Low (1) of the left shoulder. Then there is a rise, whose High (2) can also break the Trend Line. – Right shoulder: From the Previous High (2), there is a decline in which there is a Low (3) higher than the Low (2) of the head and that is located at the same level (More or less) of the Low (1) of the left shoulder. From this point, there is a rise, that should breaks above (Goes from below to above) the neck Line. – Neck line: Formed by connecting with a straight line the High (1) and the High (2). The slope of the neck line represents the strength of the future rise: If this line tends upwards, the strength will be greater. Whereas if this line tends downward, the strength will be lower. – Volumes of trades: Play a crucial role in this Pattern, more important than the role that they have in the Head and Shoulder Top. They can be measured with an indicator (On Volume Balance or the Chaikin Money Flow), or simply by analysing the volume levels. Volume’s levels during the first half of the Pattern are less important than the Volumes in the second half. The volumes are very high during the decline that leads to the formation of the Low (1) of the left shoulder. During the formation of the Low (2) of the head and the subsequent rise, the volumes should be high too (About the indicators, the On Balance Volume must be rising or the Chaikin Money Flow greater than 0). The volumes will again be high during the formation of the Low (3) and in the subsequent rise; they also be high during the breaking of the neck Line. 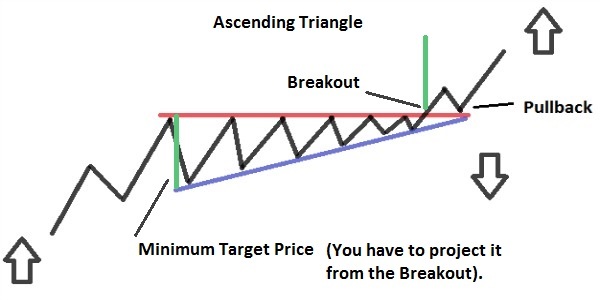 – Break of the Neck Line: The Pattern is complete once the Prices break above (Go from below to above) the Neck Line. The line of the neck just cutted becomes a Support (While before was a Resistance). There can be a Pullback after the breaking of the neck line (There is a Pullback when the Prices return to the line that they have just cutted, then bounce on the line and come back to continue in their initial direction). – Minimum Price Target: you have to measure the distance from the neck line to the Low (2) of the head, then you will have to project it from the breaking point of the neck line to have the minimum Target Price of the rise. You should use other factors, such as previous resistance, Fibonacci Retracements, medium-long Moving Average, to calculate at best the Price Target. – Failure: If the Head and Shoulders Bottom fails, so If prices do not break above the neck line, there can be a decline instead of a rise.